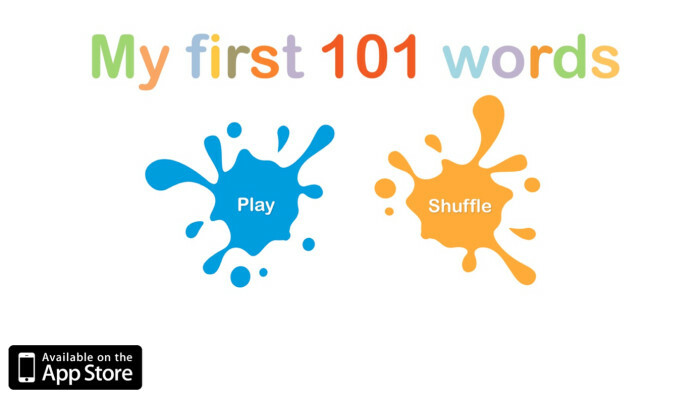 Since the launch of “My First 101 Words" in May, blueprint.tv has had a tremendous response to the video App and we thought it was time to undertake a review. As we had hoped, the video aspect of the learning tool seems to be the key factor in driving sales, and feedback indicates that the unique nature of the real actions and objects demonstrated in our App is clearly communicating and educating people. We’ve been interested to find out just how far and wide the reach has been for our App: to date, we’ve sold nearly 500 Apps in 30 countries across the world. As expected, “My First 101 Words” has sold well in English-speaking countries such as the UK and Ireland, the USA, Australia, New Zealand and Canada but what’s been really fascinating is seeing the increasing uptake from other countries around the globe. Every day we’ve seen sales in Europe, South America, Africa, Asia and Russia in countries as diverse as Korea, Kenya and Brazil to Singapore, Saudi Arabia and Thailand. We’ve had some top reviews on the internet. Highlights include being mentioned in the Guardian’s ‘Top 50 Apps for Children in 2013” as well as being given an official 5* rating in the Apple App Store. The brilliant response on the Apps Playground website and Mumsnet has been particularly gratifying as users’ opinions mean the App is obviously working just as we hoped. “My First 101 Words” was first created to help toddlers learn their first words in English but we’ve now identified that there are two other areas where our App is clearly making its mark - in helping non-English children learn their first English words as well as helping those with learning difficulties to learn their first words in English. As a result, we’re now working on making other versions of our App so watch this space!